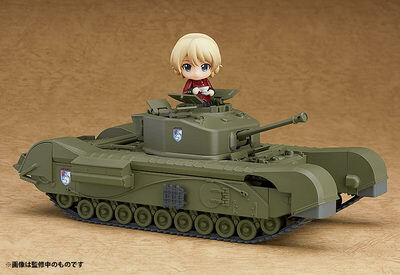 Good Smile Company is going to release the Nendoroid More Churchill Mk. 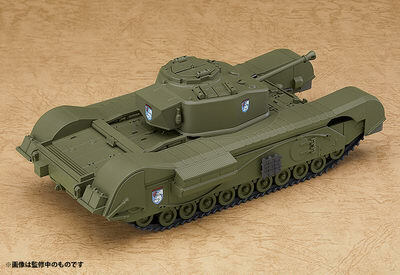 VII ( チャーチル歩兵戦車 Mk.Ⅶ ) non-scale model tank from the anime movie “Girls und Panzer das Finale” ( ガールズ＆パンツァー 最終章 ). Will be released in July 2018. Around 220mm long, 6,296 yen. Nendoroid Petit is NOT included. Alright, here are the rest of the figure news I mentioned last night. Actually I have two more exclusive figure from Megahouse and I’ll post them later. "As the English say, all is fair in love and war." 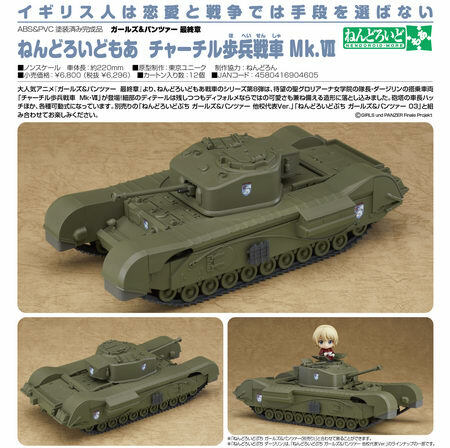 The details of the tank have been carefully preserved while shrinking the tank down to cute Nendoroid Petite size, and the gunner’s hatch and other parts of the tank are articulated for various options. 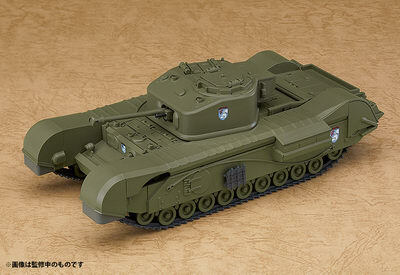 Be sure to display the tank together with the Nendoroid Petite: GIRLS und PANZER 03 series!